Boulder, Colorado, is the happiest city in America, according to a National Geographic round-up last fall. 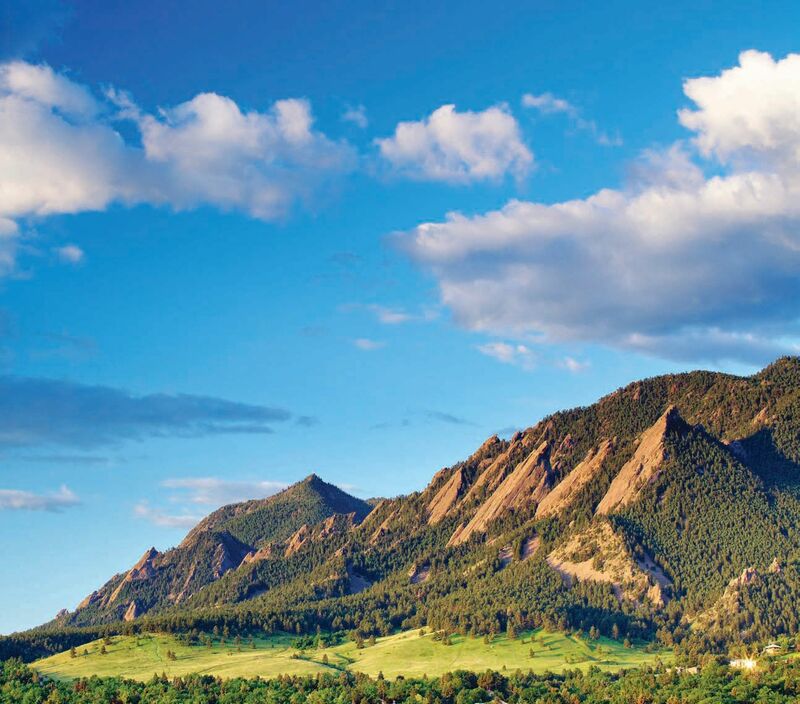 Nat Geo cited reasons, including the dramatic backdrop of the Flatiron range and the Rockies in the distance, plus Boulder’s extensive bike paths, great food, friendly neighbors, artists and entertainers at the Pearl Street Mall, and, on average, 245 days of sunshine per year. At ASES, we think that it’s mostly the sunshine—and Boulder’s commitment to 100% clean, local energy by 2030—that brings a sense of empowerment, hope and happiness to residents and visitors alike. © Left to Right: Wayhome Studio; Wikipedia Commons. Bike Trail Riding and Pearl Street Mall Shopping in Boulder, Colorado. 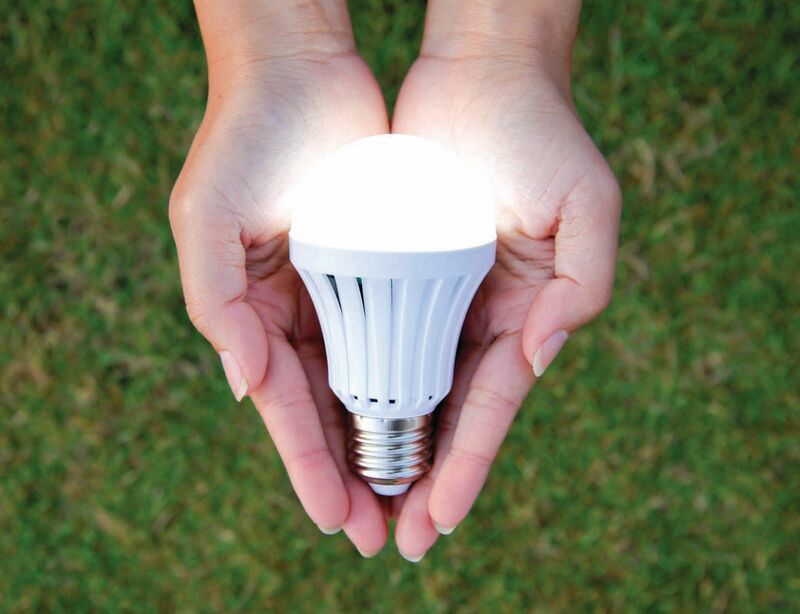 Promoting climate resilience, preparedness and recovery with renewable energy resources. Each of these summit tracks cuts across technical disciplines, educational and political strategies, and home-grown solutions. Each track opens with a general session overview by inspiring energy leaders, followed by panels that look at each topic from all angles. We will have some conventional presentations, plus more short talks and more time for discussion. We encourage poster submissions to address summit topics, too. We will ask everyone who attends the poster session to nominate their favorite posters. Top -pick authors will be invited to join final panel sessions on the last full day of the conference. 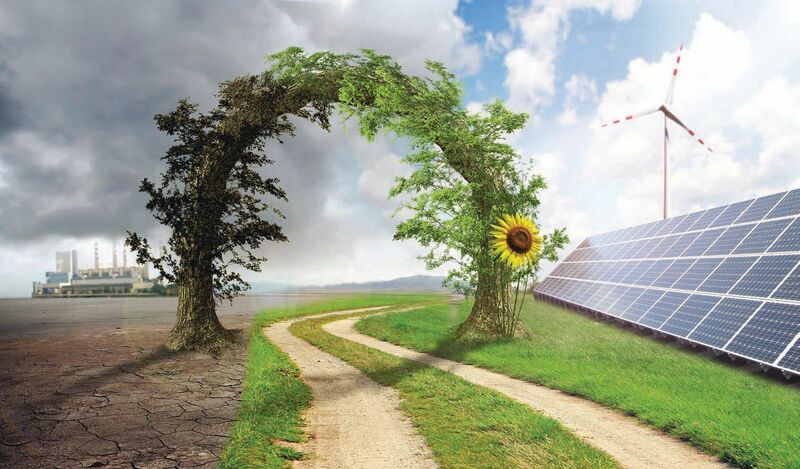 In addition to our standing offer to publish papers in cooperation with the International Solar Energy Society (ISES), we will publish a Pathways to Renewables Special Report. Then we will share our findings and our action agenda widely, through Solar Today magazine, social media and relationships with other groups that share the ASES vision. By the time of this publication, the Call for Participants will be coming to a close (early April for presentations, with a rolling review of poster abstracts through May). So don’t delay: Check ases.org/conference for updates on the Call. Submit an abstract if you can, and let others know about ASES Solar 2018. The conference committee also will be looking for volunteers, from panel moderators and AV assistants to site docents. Contact solar2018@ases.org. Still wondering what to expect? Here are a few examples. When you think of Broadening Access to Renewables, you might think of community solar—and you would be right. Community solar was one of the most popular topics at our 2017 Conference, and it will be back. We will also discuss new trends in green power marketing, community choice aggregation, and community-focused utilities. 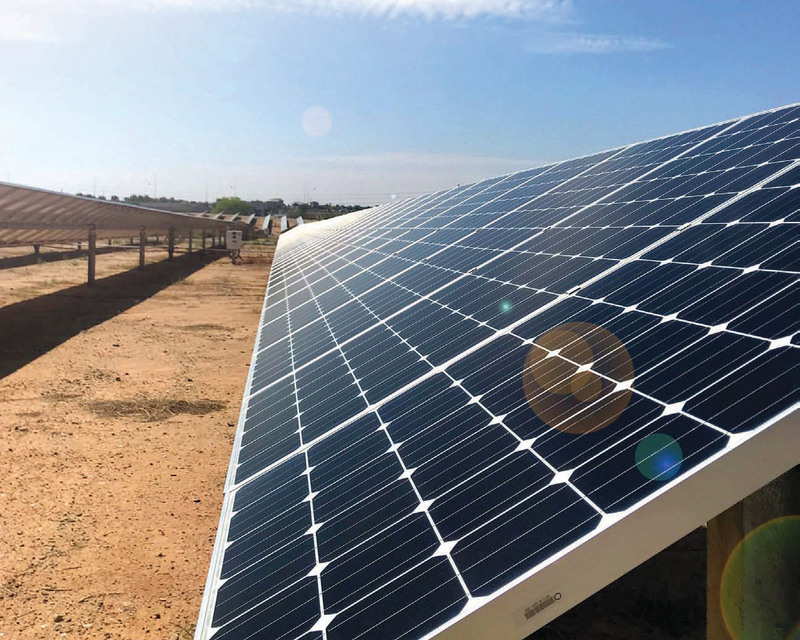 Other ways to broaden access to solar involve new ideas about solar financing, streamlining solar sales, system design and installation, expanded jobs training, and partnerships with like-minded organizations. ASES Solar 2018 again welcomes project leaders from the U.S. Department of Energy Solar in Your Community Challenge, for a full-day co-located workshop. The Focus this year will be on local success stories and tips for replicating or growing solar success, as the million-dollar, Solar in Your Community Challenge Competition will come to a close this fall. Broadening Access to Solar also means encouraging new voices to join our conversation. We welcome speakers and participants from all under-represented communities—including young professionals, who are redefining what it means to be a Solar Hero. © Generosity by Indigogo Left: Hector Gomez Colon and friends have distrubuted thousands of solar lamps across Puerto Rico following Hurricane Maria; Right: Generosity crowd-funding page. A quick Google search on the terms “Solar Hero Puerto Rico” just gave me a great example, which also leads into another of our summit tracks. Hector Gomez Colon, a teenager from San Juan, Puerto Rico, started a crowdfunding campaign, raising more than $125,000 to buy solar lamps for families whose communities are still without power since the hurricanes last fall. By early February, Colon and his friends had distributed thousands of solar lamps. He told CNN, “When we went to the first town that has no power, people from other towns would hear what we were doing. So we would add that town to our list for our next distribution.” Hector may still be busy in Puerto Rico in August, but his story exemplifies not only a broader welcome to advocates, young and old but also a focus on the growing challenge of addressing climate emergencies—and the role that solar and other renewables can play in climate resilience, preparedness and recovery. ASES members are not naïve about the full complexity of that challenge. It differs, whether the risk involves wind, water, extreme heat, cold, fire or multi-emergency planning—perhaps even extending to earthquakes and military applications. And the toolbox must go from resilient design for our buildings and cities to solar-plus strategies to mobilization with a human touch. We welcome a range of experts and stakeholders to this discussion about redefining sustainability in an ever-more-unpredictable world. There is plenty of challenge and controversy in the footnotes of any aggressive renewable energy plan. This is why ASES will call on our friends from the national labs, academia and industry, as well as policy thinkers and community leaders who will all have to work together on these pathways to renewables transformation. ASES also will include a Research Pathways track for a bit of the far-ranging discussion we have sponsored in the past, and there will be chapter meetings and a forum with like-minded partner organizations, and our Annual ASES Awards event. Join us, as we democratize the conversation about how to achieve a future that supports happy cities and sustainable prosperity for all.